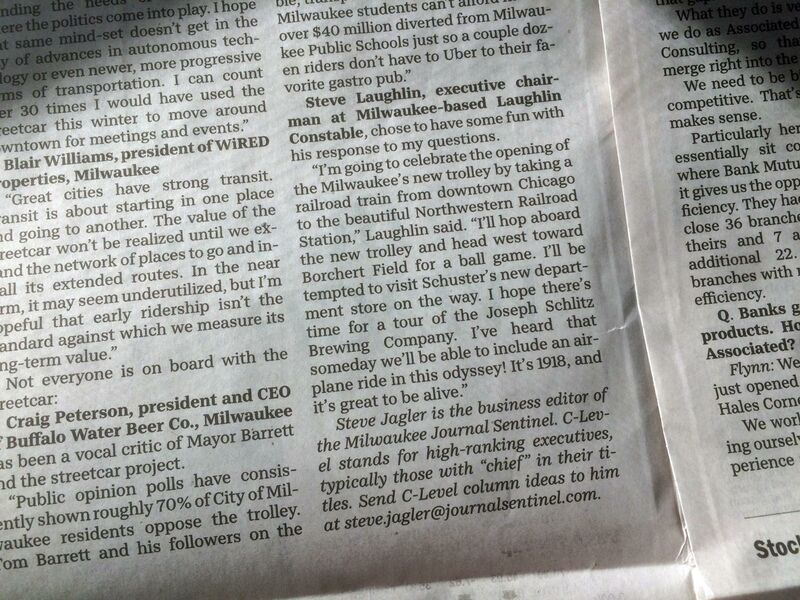 A reader sent me an article from this morning's Milwaukee Journal-Sentinel. 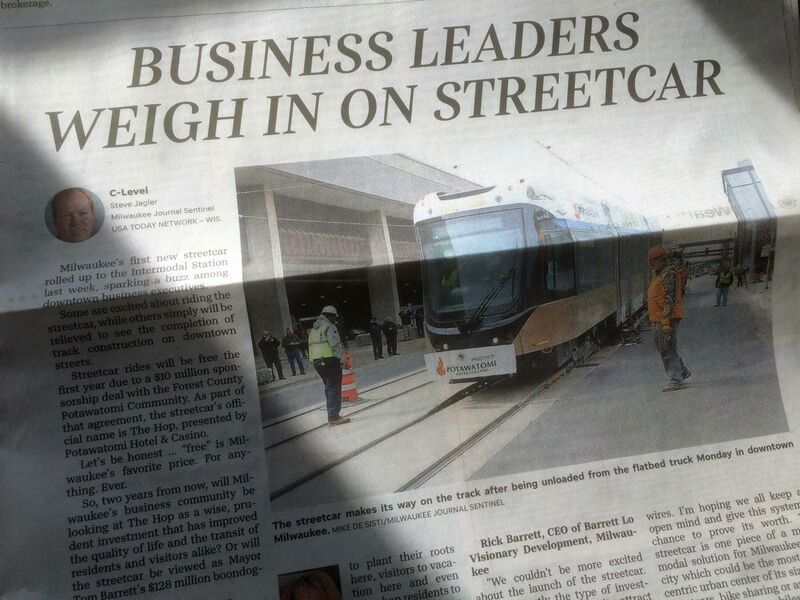 Columnist Steve Jagler write about downtown business leaders' reactions to "the Hop", Milwaukee's new streetcar. Steve Laughlin, executive chairman at Milwaukee-based Laughlin Constable, chose to have some fun with his response to my questions. 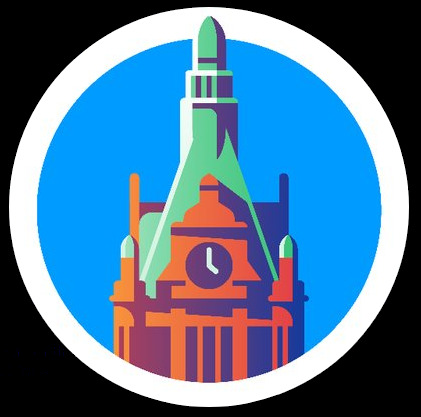 "I’m going to celebrate the opening of the Milwaukee's new trolley by taking a railroad train from downtown Chicago to the beautiful Northwestern Railroad Station," Laughlin said. "I'll hop aboard the new trolley and head west toward Borchert Field for a ball game. I'll be tempted to visit Schuster's new department store on the way. 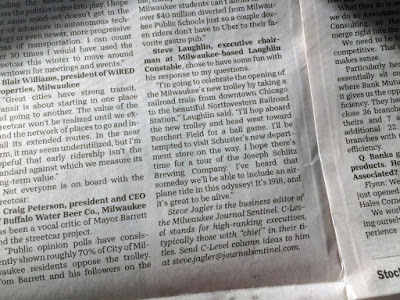 I hope there’s time for a tour of the Joseph Schlitz Brewing Company. I’ve heard that someday we'll be able to include an airplane ride in this odyssey! It's 1918, and it’s great to be alive." That's some good snark. But points off for failing to mention dirigibles. And more importantly, when I started this blog nine years ago, a doubt that many people would have reached for Borchert Field as an example of Times Gone By. In the past decade, we've done a lot to raise awareness of this glorious chapter in Milwaukee's history, and even an example like this shows that we're making progress.